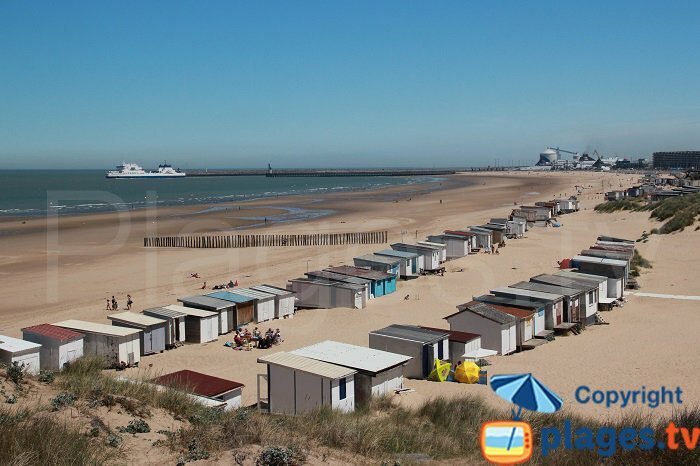 The Opal Coast has many gems in store for tourists, including Calais, a charming seaside resort. Known for its exceptional heritage and coastline, it stretches to one of the most remarkable sites in the region, Cap Gris Nez. 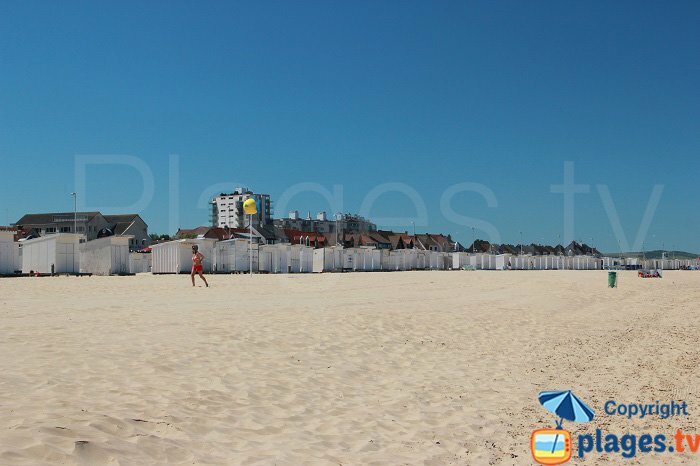 It is one of the most popular beaches in Pas de Calais on weekends thanks to the many activities on offer. 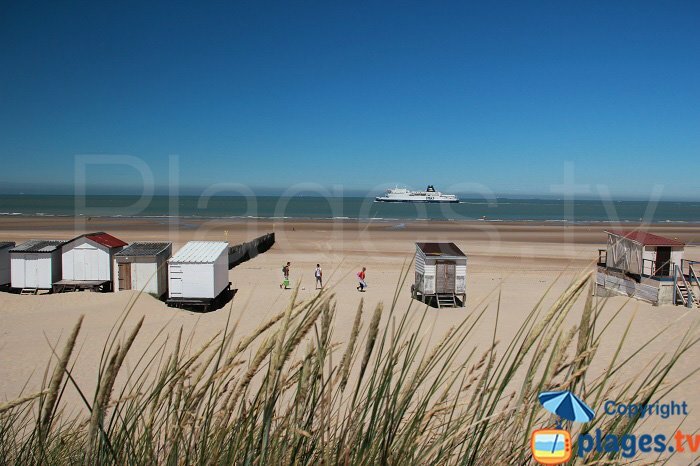 To discover Calais is above all to capture its environment. 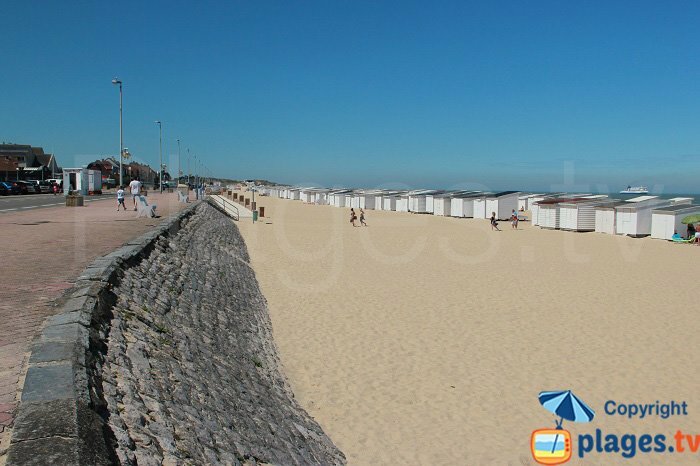 Calais offers a long beach over a kilometre long a few hundred meters from Place des Armes. This is one of the most touristic regions. Its long promenade allows for a leisurely stroll. 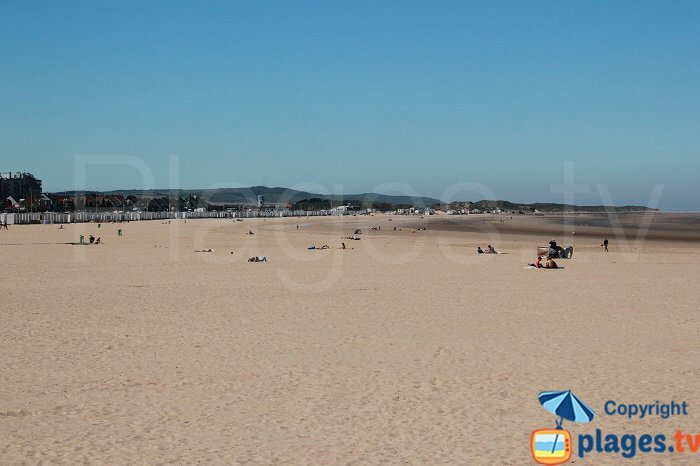 The beach slopes gently down, attracting families. At low tide "sheets" form to the delight of the children. You can also attend the show of the ferries in the distance and on clear days you can even see the English coast! There are numerous bathing huts along the beach, which bring a feeling of authenticity. One does not only come to Calais beach to swim. 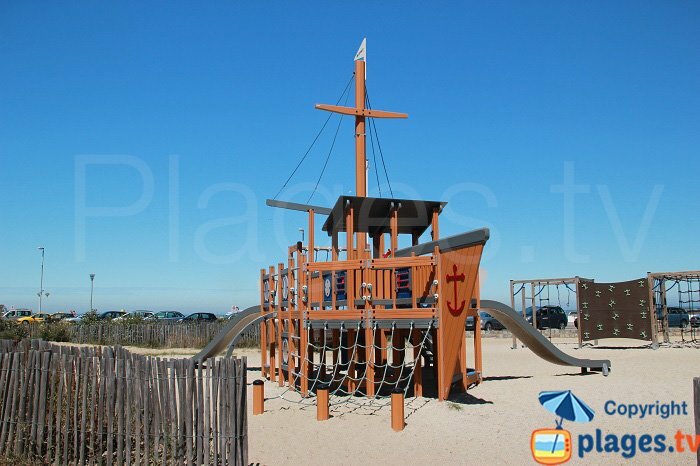 There are many playgrounds nearby (for different ages: swings, wooden boats, basketball court, beach-volleyball court, skate park, Ping-Pong tables...). Large picnic areas are also available with many car parks. It is perfect for a family day out. 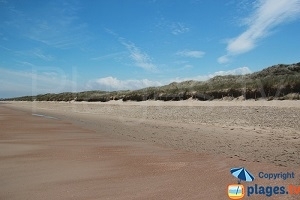 You can extend the ride to Blériot beach (town of Sangatte) with its dunes and the small village of wooden cabins. Athletes are spoilt for choice: sailing, windsurfing, kite-surfing. 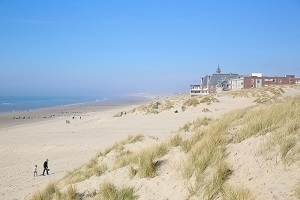 The town beach and those of the surrounding resorts are well-known spots among amateurs, starting with Sangatte and the wild beach of Marck Hemmes. Horseback riding and bike rides are also practiced everywhere; this is a way to discover another side of Calais. Mountain bike addicts meet on the site of Noires Mottes while families stroll on the bike path that starts and ends at Blériot Cap Blanc Nez at Escalles. Country roads running along the channels from time to time are equally nice. 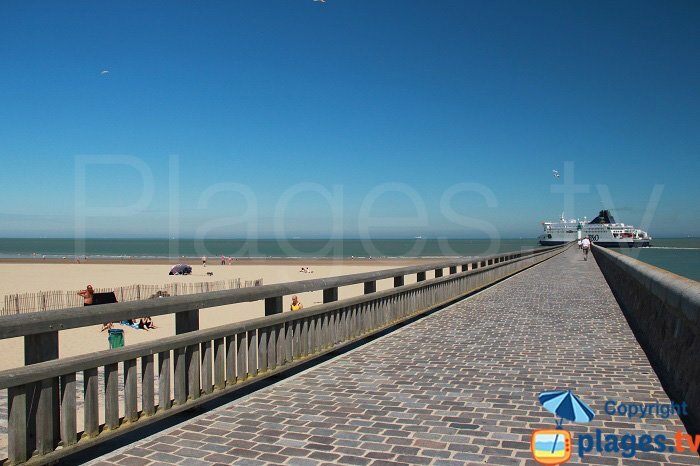 But Calais is not only defined by beaches and nature. It is also a territory with a special history, under English occupation for centuries, the birthplace of lace whose finesse and elegance are still found on the catwalks of fashion designers. The city is revealed from the district of Courgain Maritime, the oldest, originally a simple fishing hamlet where one can still see the Basin de Paradis, giving evidence of sea fishing activity. You can also freely visit Fort Risban nearby, which dates from the sixteenth century. It reminds us that Calais is a walled city, where the Citadel and Fort Nieulay, must-see, still remain. Place des Armes is one of the most popular destinations, recognizable by the watchtower overlooking it and the markets bringing it to life. Nearby, the church of Notre Dame, a Tudor-style architectural gem that housed the marriage of Charles de Gaulle is one of the curiosities of the city. Calais is also known for its belfry belonging to the Town Hall and which culminates at 75 meters! It can be visited throughout the year, a way to discover the other side of the surrounding areas. Do not miss its carillon. A bronze version of Rodin is as remarkable and takes centre stage. The city is also turned to the art, the Chemin de la Cité clear evidence, devised by British artist Hamish Fulton that connects the heart of the old town of St. Peter to Calais.